There have been a lot of changes with HARP since its inception in 2009. Today, more people qualify for HARP, and it’s easier to refinance. 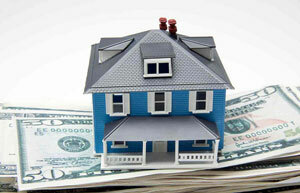 HARP has made it possible for a lot of people to refinance their homes and save money every month. If you have not refinanced since interest rates hit their lows, you could save money every month by refinancing your home mortgage. And if you qualify to refinance under HARP, refinancing your home could be easier than you think. Certain risk-based fees for borrowers who refinance into shorter-term loans have been reduced. Lenders now need less paperwork for income verification, and have the option of qualifying a borrower by documenting that the borrower has at least 12 months of mortgage payments in reserve. The end date to get a HARP refinance has been extended to December 31, 2015. I want you to know that VERY FEW people impress me in this business. Most are filled with lazy, rude, part timers that I constantly have to chase around. I am sure you know EXACTLY what I mean. Please tell Mary that you guys have done an OUTSTANDING job. I am truly impressed. I close about 125 deals a year for about 16 to 17 million so I deal with A LOT of lenders and you are in the top 2. Thank you for an outstanding job.